The Secretary of State announced on Monday, February 23, 2009 that they have verified 58193 signatures on a citizen initiated petition to repeal the school consolidation law. The signatures were collected by more than 200 Maine residents representing the Maine Coalition to Save Schools. The petition will be forwarded to the members of the Maine legislature for its consideration. If enacted by the legislature, the petition would repeal the controversial school consolidation law which was enacted in June 2007. The former education statutes, which were repealed by the consolidation law, would be reenacted. If the legislature does not repeal the law, the Maine electorate will have an opportunity to repeal the law in a referendum vote in 2009. The Secretary of State's announcement provides an excellent opportunity for all Maine people to reflect on the reasons why Governor John Baldacci, Education Commissioner Susan Gendron, and a majority of the members of the previous legislature fought so ferociously to have the law enacted and why the administration continues to defend the law despite fresh evidence that this law does not generate any net cost savings for local or state budgets. The reality is that this school consolidation law will cost Maine taxpayers millions of tax dollars in future years. Some residents of our State and some legislators question the wisdom of the June 2004 referendum vote in which 2.2% of the Maine electorate voted to have 55% of the cost of public elementary and secondary education come from state revenue sources. According to the legislative finance office, $449,000,000 was appropriated over a four year period to meet the 55% goal enacted in referendum. However, because of declining state revenues, the goal of 55% has not been achieved. As the legislature appropriated more funds to meet the referendum mandate of 55%, the stage was set for a back door approach to reduce the cost of education in Maine. Enter school consolidation. While declining enrollments in Maine schools were given as the reason for school consolidation, the law focused on combining central administrative offices all around the State from 291 to 80. Declining enrollments do not suggest that the responsibilities of superintendents have changed in any manner. The concept was fatally flawed from the beginning. But imagine how enticing school consolidation was to some members of the legislature when Commissioner Gendron announced that the State would save $241,000,000 over a three year period if the school consolidation was passed. The commissioner has never released any information which would substantial that claim. To the contrary, Brian Hubbell of Bar Harbor on his website, http://forum.mdischools.net/state/reorg/road-to-80-districts, examines the 22 regional consolidation plans which were enacted and documents that the actual aggregate savings identified in those plans is $1,635,275 for one year or multiplied by three years is $4,905,825. In some cases, the plans did not identify increased costs which will result from collective bargaining agreements. So the actual savings could likely turn into additional cost for taxpayers as collective bargaining agreements are negotiated. The legislature was so taken by the idea of saving $241,000,000 that they appropriated $9,000,000 to pay for the cost of consolidation. Maine people have had an opportunity to vote on school consolidation plans all across the state. 22 plans have been enacted; 24 plans have been rejected. The 24 plans represent negative votes from citizens of 210 Maine communities. It is estimated that rejection of those 24 plans will cost taxpayers of those 210 communities more than $7,000,000 in penalties in the form of reduced educational subsidy. Can it be possible that our state government will impose those penalties on 210 communities all across the state in the most difficult of economic times? The right to vote is one of the most precious freedoms, which both our federal and state constitutions guarantee. It seems so contrary to everything which we, as Americans, believe in to be penalized for voting one way or the other. The penalties will generate 4.5 times more revenue for Augusta to spend than the money which will be saved in the communities which enacted school consolidation plans. According to current law, those penalties will be assessed every year that communities do not enact a school consolidation plan. How can anyone in Augusta continue to defend that this law will save taxpayers any money? 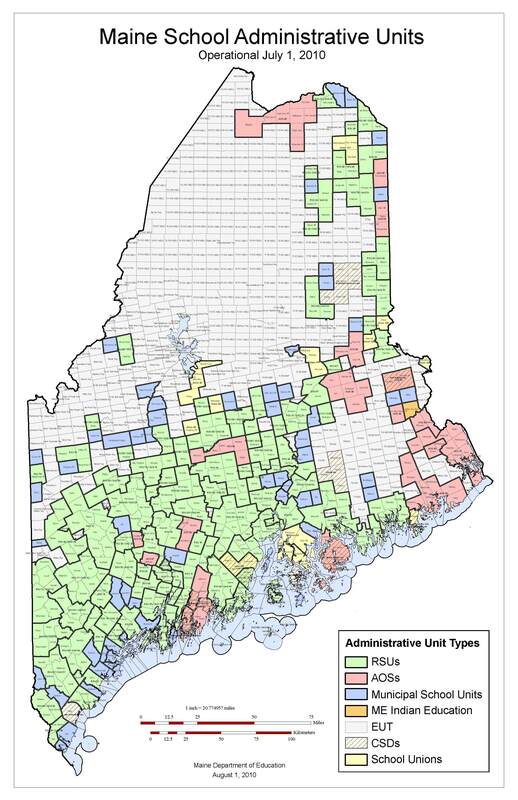 Is there a role for consolidating some existing school districts in Maine? Certainly!!!!! However, this law should have made school consolidation voluntary, not mandatory. Augusta simply doesn't understand that "one size doesn't fit all". What works in one community does not necessarily work in another. How many times do we have to learn this lesson in Maine? Consolidation makes sense for some communities where real economic savings can be realized without jeopardizing the quality of education for our students. Our beloved state is in a terrible financial situation. The reality of the times demands all of us to find ways in which we can reduce educational expenses while at the same time trying to maintain the quality of education, which our students require to compete in the world economy. We have worked with the school consolidation law for one and a half years trying to find ways to reduce educational expenses. The anticipated cost savings of $241,000,000 over a three year period are not achievable, and an argument can be made that the implementation of the law will cost more than it will save. The imposition of $7,000,000 in reduced subsidies is a travesty for those who voted their conscience that school consolidation will not save them money and will not serve the best interests of their students. Governor Baldacci, Commissioner Gendron, members of the legislature ,and all Maine citizens need to work together to find alternative methods to reduce educational expenditures. 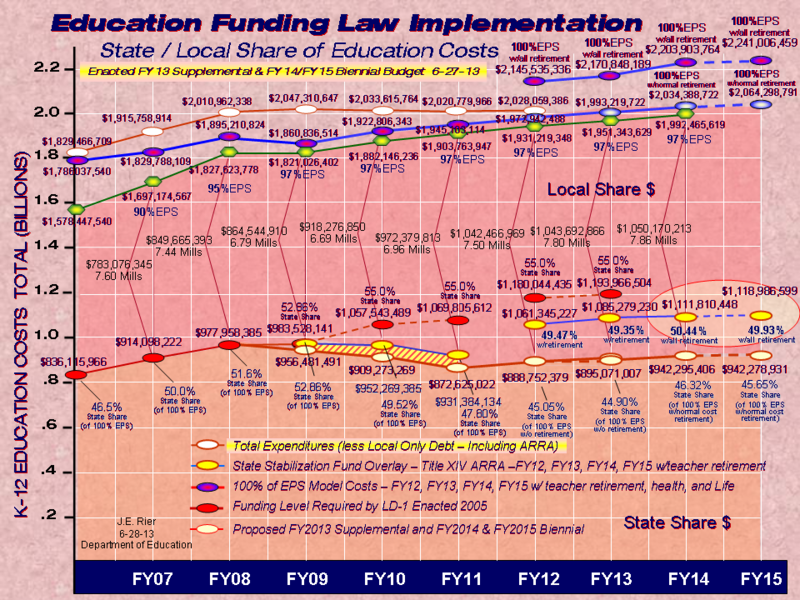 The current school consolidation law does not accomplish the goal of reducing educational expenditures as promised. Lawrence "Skip" Greenlaw lives in Stonington. He is chair of the Maine Coalition to Save Schools. He may be contacted at skipg@midmaine.com or by phone 367-2738 or 460-1260.